Controversial businessman Wicknell Chivayo must stand trial to answer to fraud allegations levelled against him over the Gwanda solar project, a High Court judge has ruled. Chivayo is facing two counts of fraud, one count of money-laundering and another one for breach of Exchange Control Regulations involving $5,6 million advanced to him by theZimbabwe Power Company (ZPC) for the project. Justice Joseph Musakwa ruled that the businessman should now face three counts after the High Court dismissed the case involving money-laundering. The businessman had approached the High Court seeking to stop his prosecution at the Harare Magistrates' Court, but Justice Musakwa ruled that his bid could not be entertained in total. He said only one charge could fall away and the businessman had to stand trial for the other two. "I would therefore conclude that the fraud charges are not defective. They are sufficiently couched to disclose an offence. The objection being raised amounts to a defence," ruled Justice Musakwa on December 31 last year. 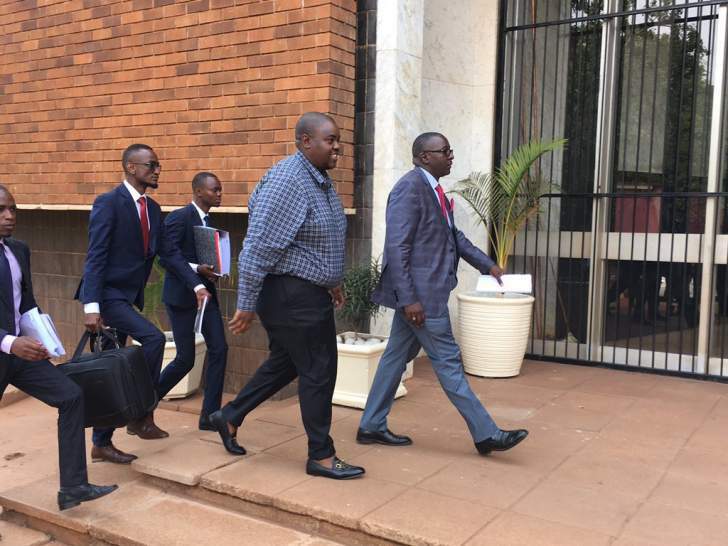 In the case which is before magistrate Lazini Ncube, it is alleged that Chivayo abused public the allegedly spent the large part of it buying vehicles, air tickets, paying school fees and settling civil suits. "Therefore, in light of there being no formal defects of the charges, it follows that the review application has no prospects of success in respect of those counts," ruled Justice Musakwa. "Therefore, it is ordered that the criminal trial of the applicant (Chivayo) before the second respondent (Mr Ncube) under case number CRBP911-5/2018 is suspended only in respect of the third count." Chivayo had petitioned the High Court seeking to be exempted from all the charges in terms of Section 171 of the Criminal Procedure and Evidence Act. demanded was to be used for. "When information regarding contractual commitments was requested from complainants, they allegedly submitted details of sub-contractors who were purportedly paid. However, the alleged sub-contractors are said to have distanced themselves from the claim," Justice Musakwa ruled. On the charges involving the Exchange Control Regulations, the judge said facts at hand did not disclose a case against Chivayo.